Spy Emergency is the anti spyware, anti malware, anti spam solution that fast and secure removes spyware, malware, spam and other internet threats from your computer. 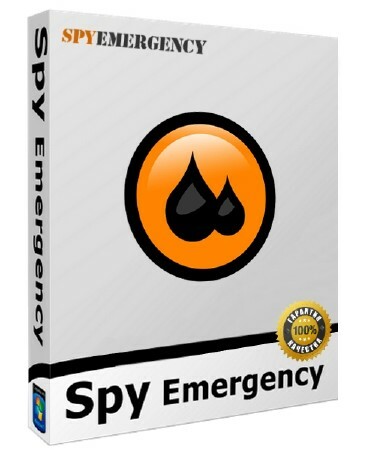 Spy Emergency protects you against thousands of various infections and potencially unwanted software, including spyware, adware, spam, virus, trojans, worms, homepage hijackers, remote administration tools, activex components, dialers, scumware, keyloggers, data mining software, toolbars, tracking cookies, browser, hijackers/BHOs. 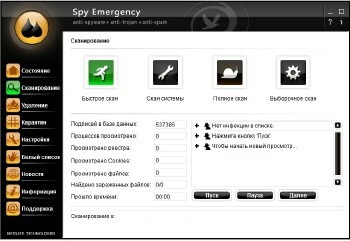 Spy Emergency do not slow down your computer and still protects you while your are working not like others spyware removal software. Spy Emergency has more than 985,000 threat definitions in its signature database! Small and regular definition updates greatly reduce update downloading time. Spy Emergency is ready to fight malware on Windows Vista operating systems.